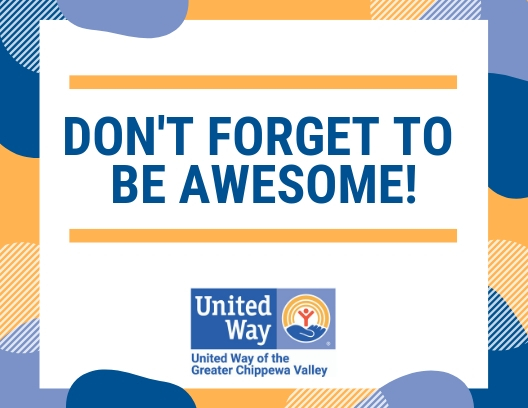 United Way of the Greater Chippewa Valley is kicking off 25 Days of Caring with a virtual volunteer opportunity that provides support to our impact initiative surrounding mental health. Mental health is an important part of overall health, including our emotional, psychological and social well-being. Our mental health affects how we think, feel and act, as well as how we handle stress, relate to others and make healthy choices. Mental health is important at every stage of life from childhood and adolescence through adulthood. The number of people worldwide diagnosed with mental illness has been increasing during the past decade. In the United States, it is estimated that 20% to 25% of adults are affected by mental illness. 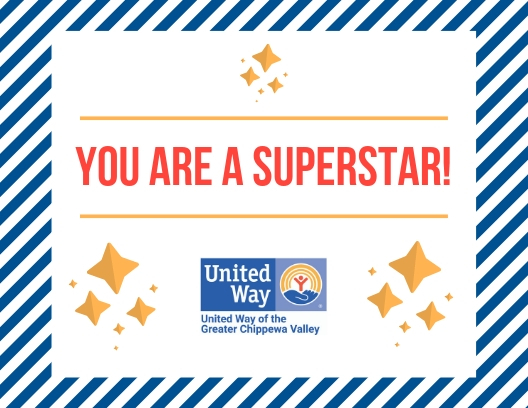 United Way’s mental health initiative invests in prevention and intervention programming in an effort to change the mental health of local residents. Click here to Learn more about our Mental Health Initiative. Community members are invited to write a note of encouragement. The notes will be distributed to local youth through partnerships with local schools and youth serving agencies. Participants can choose from two pre-written options or opt to write a note of their own. Choose an image for the front of your card. You can choose from two pre-written note options or opt to write your own special note. The notes will then be distributed to middle school students in Chippewa and Eau Claire counties. Just writing you to encourage you to do your best each and every day! You are capable of doing great things if you keep working hard. There are exciting opportunities out there in the world just waiting for you! Sending a note and a smile to you today. Always remember there is no one quite like you. Never forget how special you are! 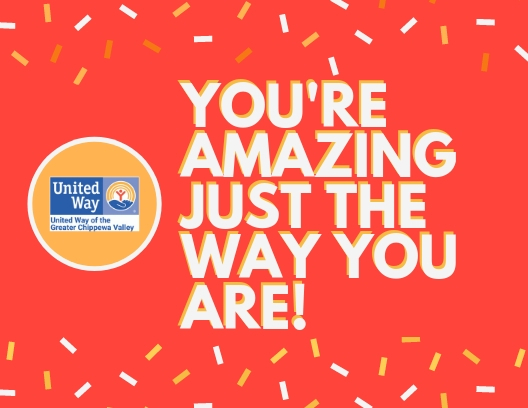 United Way extends a thank you to the following businesses for helping to make 25 Days of Caring possible: United Healthcare, Baker Tilly, BMO Harris Bank, Mayo Clinic Health System, Nestle, Royal Credit Union and Wipfli, LLP.